In its continuing quest to dominate your personal media library, Plex is launching a new way to watch your locally-stored content. 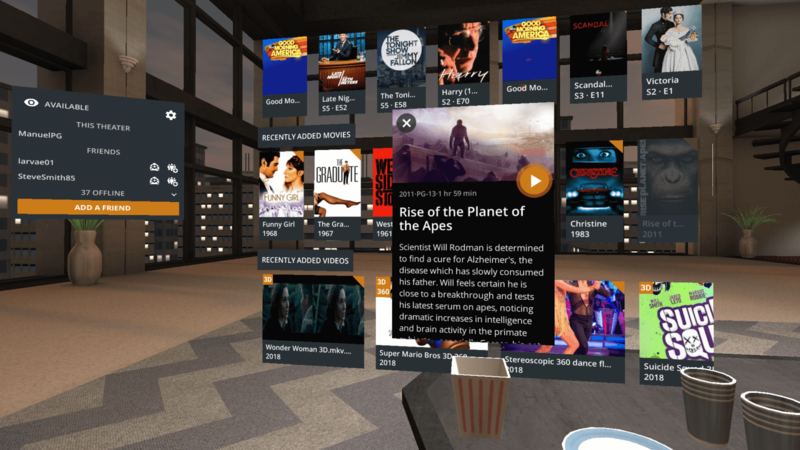 Plex VR is coming to Daydream, and the base package does not even require a Pass subscription! 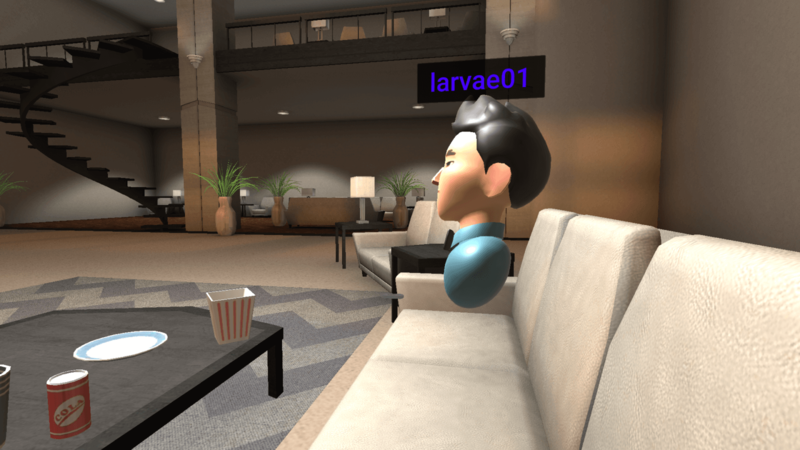 This will come with fully interactive viewing environments, social elements like a friends list, and support for 2D, 180°, 360°, and 3D+360° videos. All you need is a Plex media server, some stuff to watch, your phone, and a Daydream headset and you're ready to go. If you have a Plex Pass, then you can watch whatever you have going with other people (up to four) – with head positions updated in real-time – all in a movie-friendly environment (drive-in or apartment). Plex decided to require that only one person in the group have a Pass and s/he invites others to the "theater" for viewing. The idea for this spawned from a community project called Plevr, the creator of which has now joined Plex to spearhead this new initiative. Just grab the separate Plex VR app, sign in, and get watching. You obviously need a Daydream-compatible phone and headset to enjoy this experience. 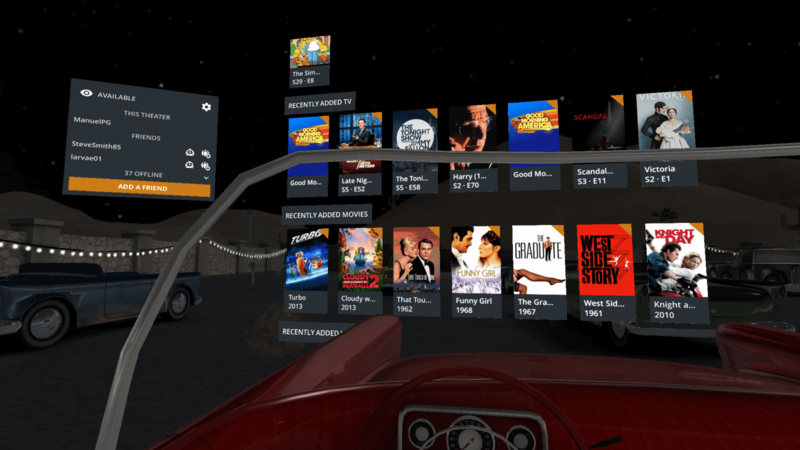 And Plex is offering non-Pass users a free week of the co-watching feature with the drive-in scene. The guys at Plex told me that this will require the same basic internet connection as the regular, non-VR client, but you should also keep in mind that each additional person who joins you will put extra strain on the server itself, so have adequate horsepower and bandwidth. Next, I hope that we get the ability to play music through Alexa or Assistant commands.